The Fenerbahçe was the best of the course and the Zalgiris will be measured. 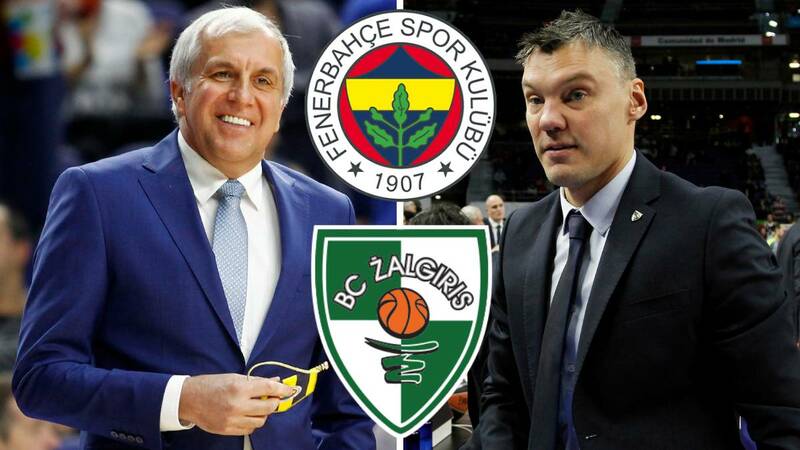 Obradovic aspires to his 10th Euroleague and Jasikevicius is one of the most fashionable technicians at the moment. Zeljko Obradovic arrived in the summer of 2013 at Fenerbahçe, a team that had never played a Final Four, and in less than five years has made it European champion (2017) and the best team this season (balance of 25-5) . The most successful coach in the history of European basketball (he has won 9 Euroleague titles) aspires to cast his team in the Final Four for the fifth year in a row. Last summer they said goodbye to Wanamaker, Nunnally ... and Dogus, with which they had signed for three seasons and 45 million euros (the sponsorship ended after the first year). A complete team, but with little weight of the bench players. Obradovic relies, above all, on seven players: Sloukas, Bobby Dixon, Melli, Kalinic, Guduric, Datome, Melli and Lauvergne. The smartest of the class and la Obradovic's right hand on runway . The Greek baseman, who has completed his fourth year in the team, finished the regular season as the top scorer of Fenerbahçe (12 points), the best passer (4,7) and the most valuable (15,5). Insurance in the direction and a great shooter of three: 40/87 in triples (46%). Sloukas has already won three Euroleague: dos with Olympiacos (2012 and 2013) and one with Fenerbahçe 2017) . Sarunas Jasikevicius has made the Zalgiris a team to always keep in mind. In two and a half seasons he has rescued a club, with economic problems and one of the lowest budgets of the competition, and has turned it into another one that rubs shoulders with the big ones. Last year he managed to qualify his team for the Final Four for the first time in 19 years. There he lost to Fenerbahçe in the semifinals and won CSKA in the consolation final. In Kaunas, they were received as heroes. Jasikevicius got many girlfriends in the summer (Barcelona Lassa included), but the ex-base decided to stay in the Zalgiris. It has not been an easy season for the Lithuanian team that lost to Kevin Pangos in summer (on the way to Barcelona) and has not been able to count on the best version of Jankunas, with physical problems this season. But a perfect final (six wins in a row, including victory in the Palacio against Real Madrid) les keeps them alive in Europe. Great part of the fault that the Zalgiris has reached the crossroads of the quarter has this pivot, who contributed 27 points and 10 rebounds in the triumph of his team in Madrid on the last day. Davies went through the NBA without pain or glory (Philadelphia Sixers and Brooklyn Nets). In 2015 he landed in French basketball (Chalon-sur Saone) and after passing through Varese and Monaco he arrived at Zalgiris last season.